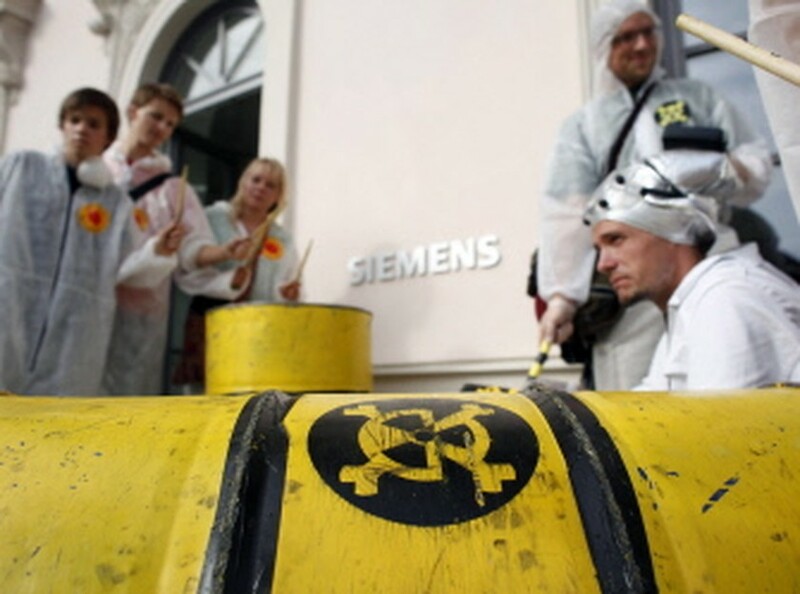 BERLIN, Sept 18, 2011 (AFP) - German industrial giant Siemens is turning the page on nuclear energy, the group's CEO Peter Loescher told the Der Spiegel weekly in an interview published on Sunday. "We will no longer be involved in overall managing of building or financing nuclear plants. This chapter is closed for us," he said, explaining that Siemens would restrict its activity to double-use technology. The German government announced its decision to abandon nuclear power by 2022 in the wake of the disaster at Japan's Fukushima nuclear plant. AFP - This file picture taken on September 16, 2009 shows activists protesting in the southern German city of Munich against nuclear waste. Loescher also definitively buried a long-planned joint venture project with Russian group Rosatom in the nuclear sector. "The two groups are still very interested in a partnership but it will be in another field," he said. Loescher said his group's decision to withdraw from the nuclear industry reflected "the very clear stance taken by Germany's society and political leadership." Germany is the first major industrialised power to agree an end to atomic power since the disaster, the world's worst since Chernobyl in 1986, with tens of thousands of people living near Fukushima evacuated. Germany wants to boost the share of the country's power needs generated by renewable energies to 35 percent by 2020 from 17 percent at present. Siemens produces gas turbines and equipment used to produce solar and wind power.